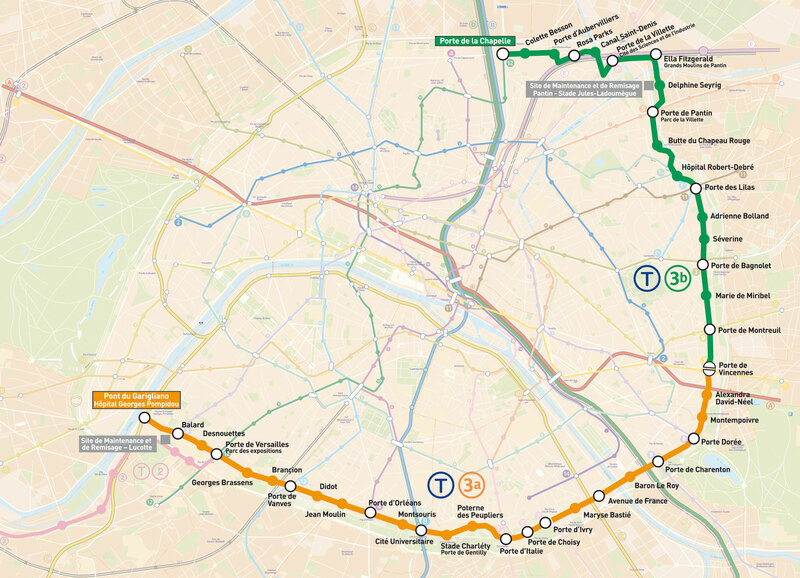 You can find on this page the map of Paris tram. Paris tram is a transit system serving the city of Paris (France) with the subway, the urban, suburban & commuter train, the bus or the Noctilien night bus. The tram network has 7 lines and 148 stations forming a rail network of 51 miles (82 km). Paris & Ile de France trams which transport 84.8 million passengers per year, exist since 1992 and are operated by the RATP (Régie autonome des transports parisiens) and the SNCF (Société nationale des chemins de fer français).